One of the most buzzed about movies of the summer is undoubtedly the upcoming Disney movie 'Maleficent' starring Angelina Jolie and Elle Fanning. 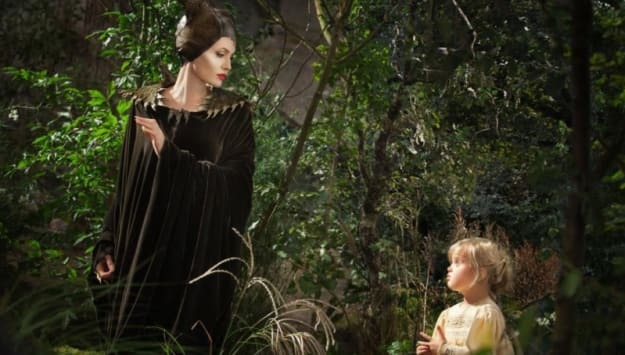 Angelina plays Maleficent, the iconic villain in 'Sleeping Beauty.' While the story remains a timeless classic, one aspect of the film has gotten a serious upgrade: The costumes. Designed by several world renowned costume designers, StyleList had the chance to catch up with a J Smith Esquire and Manuel Albarran, two designers working on the film and found out what really went into creating those capes, horns, shoes, and more. J Smith Esquire is known in the industry for his intricate headpieces. In 'Maleficent', he was tasked with creating all the headpieces for Angelina's character. When we asked him if he had met Angelina before creating the pieces he remarked, "When I started working on 'Maleficent' I met Angelina from the start, she was pivotal to the design and look of 'Maleficent'. I couldn't ask for a better muse!" Even with a muse like Angelina, conceptualizing and creating the pieces took almost 10 weeks! "Each piece varied in time depending on the complexity of the piece, and I was working on all of them at the same time over a 10 week period. The most time was spent in the beginning establishing the right silhouette for 'Maleficent'," he said. Manuel Albarran's portfolio is stunning. He's known for metal couture, corsetry, and more, but admits that the most difficult material to work with is actually when he combines materials. "Combining the different elements together for an individual piece proved to be very challenging.... for example, one outfit involved a combination of fur and leather, mounted on a bodysuit, made from stretch fabric. That was a challenging piece, technically," said Manuel. Similar to Justin, conceptualizing the pieces for Maleficent took the most time, but for Manuel, understanding the story was key to his designs. "To conceive the designs for Maleficent, l started by researching the 'Maleficent' fairytale itself, and imagining the world she would live in. I then created designs using many animal bones, skins, skulls, and metals etc, to create costumes which would be beautiful, yet dark in character and powerful; like Maleficent herself." 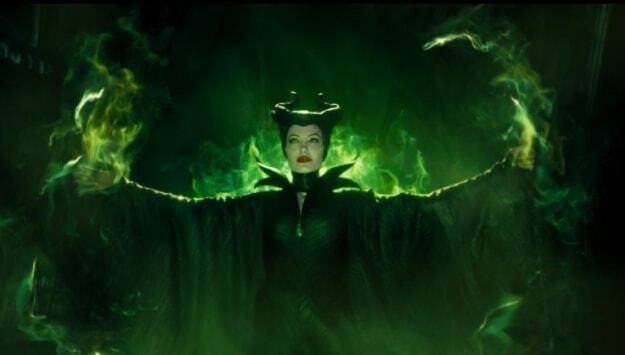 For both designers, working on the Maleficent film has been a pivotal moment in their careers. "'For me, this collaboration with Angelina Jolie, for 'Maleficent', has been an incredible experience," remarked Manuel. "I still can't believe I had the opportunity to realize my potential with such an iconic character as Maleficent. Its been a dream!" said Justin. Be sure to buy your tickets ahead of time for 'Maleficent' in theaters on May 30th here and for more on the movie, check out full coverage of the film on Moviefone.